£30,870 starting salary + annual increments. Fees paid + an annual maintenance grant of £13,590 per annum for three years. To work with Prof. Jon Williamson on a project to research the relationship between Bayesian epistemology and inductive logic, funded by the UK Arts and Humanities Research Council. The Postdoctoral Research Associate will focus on the development of a particular inductive logic, analysis of its key properties, and the development of computationally tractable methods for performing inferences in the inductive logic. This will require some familiarity with probability and logic. Programming competence would also be desirable. Applicants will be expected to hold a PhD on a related topic in mathematics, computing, philosophy or a related subject. The PhD student will focus on the question of whether the resulting inductive logic survives a number of philosophical critiques. This will require competence in philosophical argumentation and knowledge of epistemology and elementary logic. Applicants will be expected to hold a Master’s degree, and a Bachelor’s degree at class 2(i) or higher; at least one of these degrees should be in philosophy. The deadline for applications is 15th December 2011. We are happy to announce that the Ninth Annual Formal Epistemology Workshop (FEW 2012) will be held in Munich, May 29 - June 1, 2012. This year's meeting is sponsored by the Munich Center for Mathematical Philosophy. The meeting will take place at the (stunningly beautiful) Nymphenburg Palace (compliments of the Carl Friedrich von Siemens Foundation). Confirmed invited speakers include: Cristina Bicchieri, David Christensen, Igor Douven, Sarah Moss, Eric Pacuit, Rohit Parikh, Jeff Paris, Paul Pedersen, Wlodek Rabinowicz, Charlotte Werndl, and Robbie Williams. There will be two special (afternoon) sessions at this year's FEW. The first will be a special session on Logic & Rationality, which will include talks by David Christensen and Robbie Williams, and the second will be a memorial session for Horacio Arló-Costa, which will include talks (pertaining to Horacio's various seminal philosophical contributions) by Cristina Bicchieri, Eric Pacuit, Rohit Parikh, and Paul Pedersen. We will also have two (two part) tutorials, presented by Jeff Paris (inductive probability), and Charlotte Werndl (determinism, indeterminism, and underdetermination). This year's local organizers are Hannes Leitgeb, Florian Steinberger, Vincenzo Crupi, and Ole Hjortland. 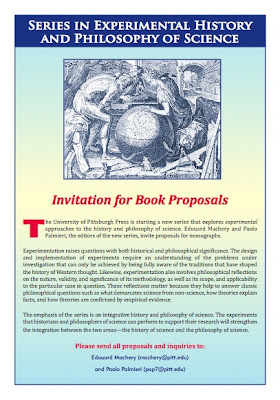 FEW 2012 is being funded by the Munich Center for Mathematical Philosophy. 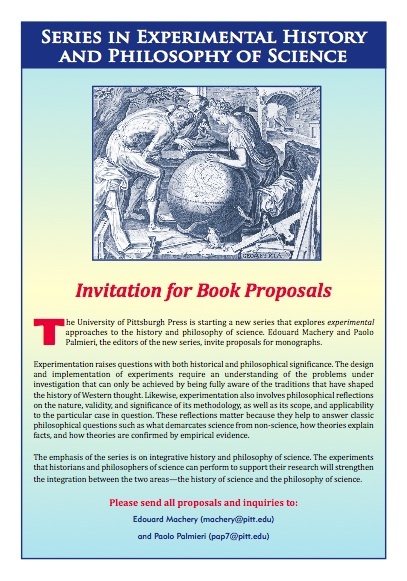 Paolo Palmieri and I are starting a new book series with the University of Pittsburgh Press. Please, contact us if you have book suggestions. We had none, now we have two and they are both amazing!!! Open-access philosophy job listings, that is. Alongside Phylo Jobs (check out the new features, btw! ), now we have PhilJobs (courtesy of David Bourget and David Chalmers). The next step now is to replace first-round interviews at the Eastern with either Skype interviews or straight on campus interviews and the dysfunctional APA will have be made completely irrelevant.